Detective Jackson Briggs recruits the assassin Hanzo Hasachi into an undercover mission - enter an illegal tournament and eliminate all its criminal participants. 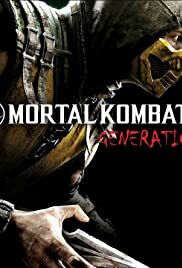 Kung Lao has triumphed in the Mortal Kombat tournament, defeating Shang Tsung and saving Earth Realm. Now, he must train a new generation of warriors for the next tournament. Three unknowing martial artists are summoned to a mysterious island to compete in a tournament whose outcome will decide the fate of the world.